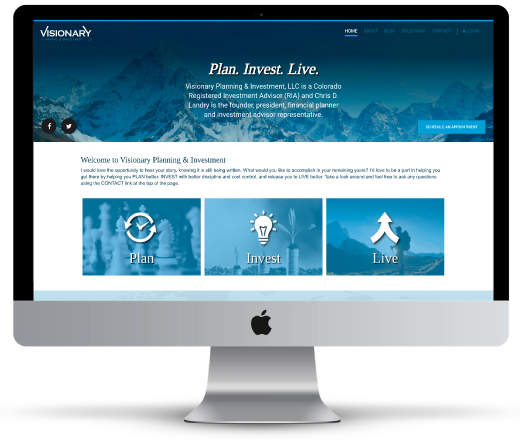 Visionary Planning & Investment, LLC is a Colorado Registered Investment Advisor (RIA) and Chris D. Landry is the founder, president, financial planner and investment advisor representative. I would love the opportunity to hear your story, knowing it is still being written. What would you like to accomplish in your remaining years? I’d love to be a part in helping you get there by helping you PLAN better, INVEST with better discipline and cost control, and release you to LIVE better. Take a look around and feel free to ask any questions using the CONTACT link at the top of the page.